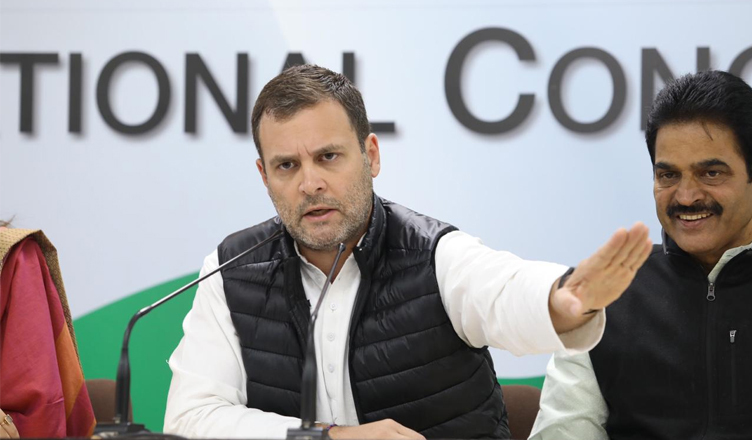 Calling out Prime Minister Narendra Modi over The Hindu expose on the controversial Rafale deal, Congress president Rahul Gandhi on Friday said that the former is a thief. “We have brought the truth out and we will take it further. It is the journalists’ duty to tell the people of India that PM Modi is a thief. I’m forced to use this word because it is the truth,” Gandhi said while addressing a press conference earlier today. Quoting The Hindu report, Gandhi said that they have been saying for more than a year that PM Modi is directly involved in the Rafale scam. “For more than a year, we’ve been saying that PM is directly involved in Rafale scam. Today it is clear that PM himself had been carrying out a parallel negotiation. We’ve been saying that there should be an inquiry through JPC (Joint Parliamentary Committee). Now the Defence Ministry itself has said, “we may advise PMO that any Officers who are not part of Indian Negotiating Team may refrain from having parallel parlays”,” Gandhi said. He then asked as to why is PM Modi unable to answer questions on Rafale. “Yesterday, Mr. Modi gave a lengthy sermon, why doesn’t he answer these questions? Why doesn’t he state the reason for parallel negotiations. Ask the PM, why is it that the President of France called him a thief. Modi government can do any inquiry they want on any of the Congress leaders. We are ready to face it. But he should do an inquiry on the Rafale scam too,” the Congress chief demanded.